When you adopt a proper exercise routine, working on your abs can get boring with the usual workouts. Buying an ab machine can help to tone and flatten your abdomen while having fun and breaking away from the same old routine. Whether you are an athlete like me, or you just want to get into shape to improve your physical health, let’s have a look at some top ab machines. 1 How Do Ab Machines Work? How Do Ab Machines Work? Ab machines work to target specific abdominal muscles to help you lose weight. You can also trim body fat and tone your abdomen as well. Once you look better on the outside, you can also start to feel better about yourself. It can take some time to lose the weight and body fat though, so don’t expect serious results quickly. Also, one workout that works for your friend, might not work for you. Everybody has a different body type, that needs to exercise differently sometimes. These types of machines are the easiest to use. You place your feet under the pads on the machine while lying down. Then, you use your upper body to make an up and down motion. For this type of machine, you need to strain and tighten your muscles at the same time. You typically will place your knees on the soft cushion that is included. Then, you hold onto the machine and glide forward. This can help to burn fat and tone your abdominal muscles. With this machine, you will only use your upper body, there is no need to use your feet. You sit on the machine and place your hands onto the handles. Slowly, you will bend your body until you feel pressure within your abdominal muscles. You usually will repeat this workout at least 20 times. This ab machine is capable of working out your entire body. You can do push ups, pull ups, and other workouts to work on your back, shoulders, biceps, forearms, and core. This also has a vertical knee raise station that includes cushioned arm rests, padded arm rests, and the ability to only work your core. The cushions are vinyl, which makes them durable and comfortable. The weight limit for this machine is 330 pounds. This ab machine’s track for your home has seven positions that you can lock into. You can even separate the track for other ab workouts. There are nine total movements to choose from with this machine. The compound movement of the track will help to engage more muscles. The compound movements include sliding chest fly and rotating push ups. This machine is made of steel, and also helps to build your chest muscles. This ab machine for your home can give you cardio workouts while toning all of the muscles in your body. You can work on your triceps, biceps, all of your abdominal muscles, calves, thighs, and more. This machine comes fully assembled and is compact. These two factors make it great for traveling. The dual resistance of this machine is also adjustable. The sturdy design of this ab machine won’t cause any strain on your back or neck, which commonly happens with crunches. It is easy to use and will tone your abdominal muscles by doing simple crunches. 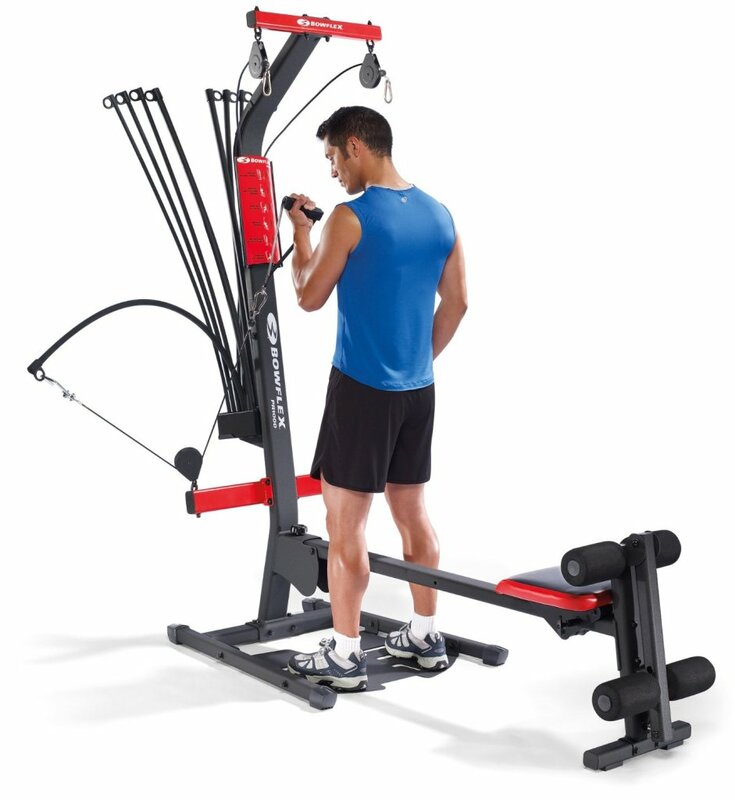 You can add weights to this machine and it will support your neck, upper body, and head. You can flip it over for a full body workout. This home machine will strengthen your core and tone your abs. It is comfortable and supports your neck and head. The rolling cushion gives you a calming massage while working out. It only weighs fifteen pounds and you only need to use it five minutes per day. It has three resistance levels and it folds for easier storage. This home ab machine comes with a lifetime warranty to cover its parts. It comes with the ab roller, two resistance bands, knee pad, exercise guide, comfy grip handles, and a travel bag. This machine will work on your upper and lower back, arms, shoulders, and abdominal muscles. Rolls smoothly on any floor types. It can also support up to 500 pounds. This affordable machine will allow you to do crunches while remaining comfortable. You can flip it over and do pushups and other full body workouts. It is great for everyone, from beginners to experts. You won’t have to worry about any strain on your head or neck when using this machine. If you are looking to tone your abdominal muscles and strengthen your core, you should consider the best home ab machine. There are many available that can fit anyone’s needs. Many are easy to use and comfortable as well.